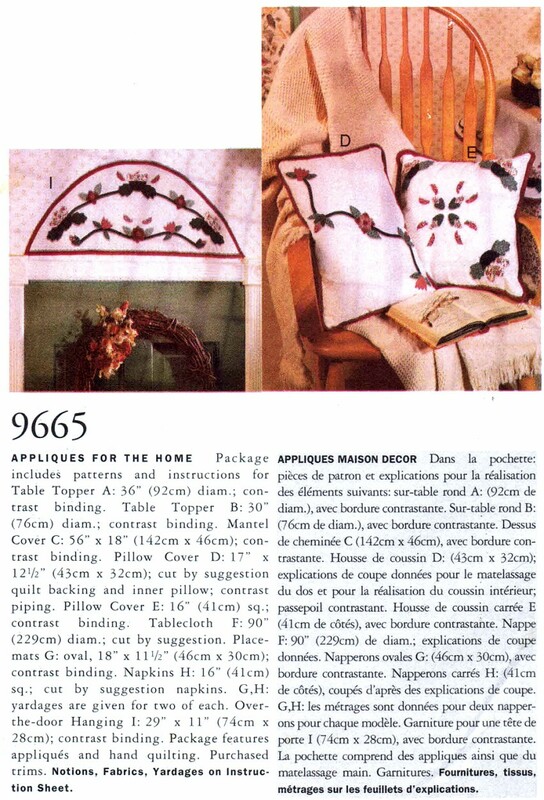 1990's Vogue 9665 Sewing Pattern Appliques for the Home: Package includes patterns and instructions for table topper A: 36" (92cm) diam,; contrast binding. Table topper B: 30" (76cm) diam,; contrast binding. Mantel Cover C: 56" x 18" (142cm x 46cm); contrast binding. Pillow cover D: 17" x 12 1/2" (43cm x 32cm); cut by suggestion quilt backing and inner pillow; contrast piping. Pillow cover E: 16" (41cm) sq,; contrast binding. Tablecloth F: 90" (229cm) diam. ; cut by suggestion. 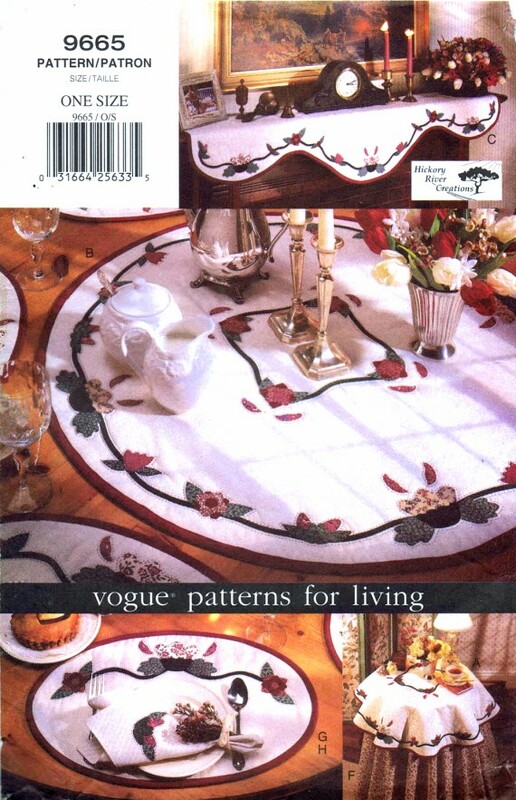 Placemats G: oval, 18" x 11 1/2" (46cm x 30cm); contrast binding. Napkins H: 16" (41cm) sq. ; cut by napkins. G, H: yardages are given for two of each. Over-the-door hanging I: 29" x 11" (74cm x 28cm); contrast binding. 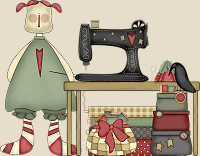 Package features appliques and hand quilting. Purchased trims.